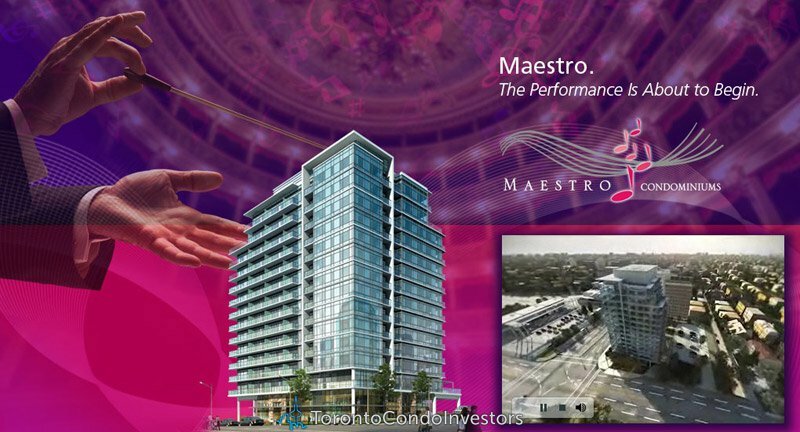 This MAESTRO is tucked neatly away in the heart of Uptown Toronto. 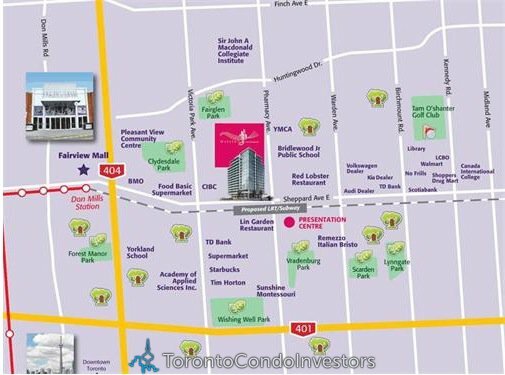 It is strategically situated near the future TTC Victoria Park station of the Sheppar LRT/subway extension, due to be completed in the near future, a key component to the MAESTRO’s integrated business, leisure and lifestyle concept. 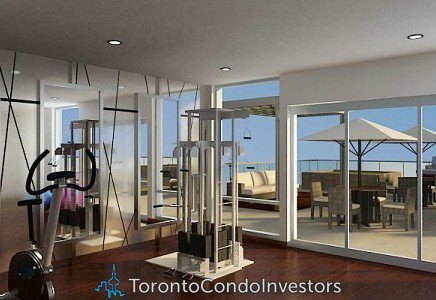 This 14-storey glass tower is a graceful combination of design and purpose, fine-tuned to the needs of Toronto’s urban residents. 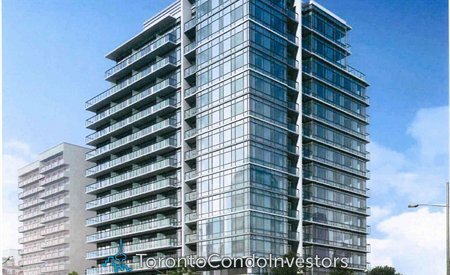 With its proximity to the TTC and highways 401, 404 and 407 all points downtown and also out of town are easily accessible. Stroll through beautiful nearby parks and enroll your children in some of Toronto’s top-rated schools. 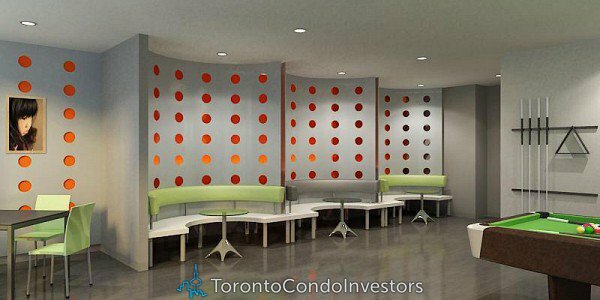 If needed – North York General Hospital is just moments away. You’re a 5 minute drive to the supermarkets, banks, pharmacies, restaurants and Fairview Mall. If you are golf lovers Tom O’shanter Golf Club and Scarborough Golf and Country Club are just a swing away. Suites present an urban yet sophisticated interior, framed with gorgeous features and stunning finishes where you will be proud to welcome your friends and family. With European-style kitchens, ample windows, comfortable and spacious living areas, you are surrounded by elegance, efficiency and ease as only the MAESTRO can provide. 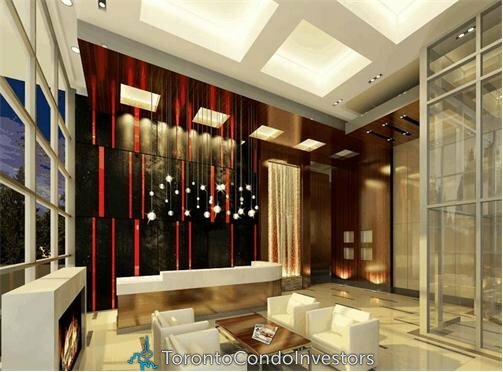 Pricing starts from $199,800 for a 1 bedroom unit(493 sq. ft.). 1 Bedroom + den and 2 Bedroom units are also available. Parking is included in the price for units > 500 sq. ft.
Deposit structure: $5000 at signing, balance of 5% in 30 days, 5% in 90 days, 5% in 180 days, 5% in 365 days,5% on occupancy.